You Are Not Your “Stuff” – Your life and your memories exist inside of you, not in the things that you own. Sure everyone needs a few things to sustain themselves but, there comes a point where we spend more time and effort accumulating and maintaining our possessions than they contribute to sustaining us. Minimalist travel reinforces this. In the words of Henry Dave Thoreau – “Our life is frittered away by detail. Simplify, simplify, simplify! I say, let your affairs be as two or three, and not a hundred or a thousand; instead of a million count half a dozen, and keep your accounts on your thumb-nail”. Be it anchored at Walden Pond or living from a backpack the lesson is the same. You Are Your Time – Use your time wisely because ultimately time is the only thing we have. In the end, everything we are is what we did with our time. Why reward your hard work with possessions [“stuff”] when you could be rewarding yourself with time. Your experiences and memories are what are created in time. Make them good ones. Not everyone shares the dream. A lot of people say they want to live the life of the permanent traveler, and I think most people that say it, actually believe it. But, when they start considering it seriously and the reality of the effort and sacrifice required to make it happen come into focus, many people stop short. What is right for one person might not be right for another, and that is okay. If I had to pick one over the other, maybe it is better to know yourself than to know the world. Maybe you can’t know the world unless you know yourself. Comfort is Sacrifice – Ultimately, everything comes down to balance. It is impossible to enjoy the full beauty of a hike from your easy chair. You can try but you can’t get the true street food experience from your dining room table. Cruise ships require shorelines. All-inclusive resorts isolate you from the locals. A homogenized 5 Star hotel in one place is at least 80% the same as a homogenized 5 Star hotel in any other place. If you really want to see and learn about a place you need probably need to give up some comfort instead of sacrificing your experience. 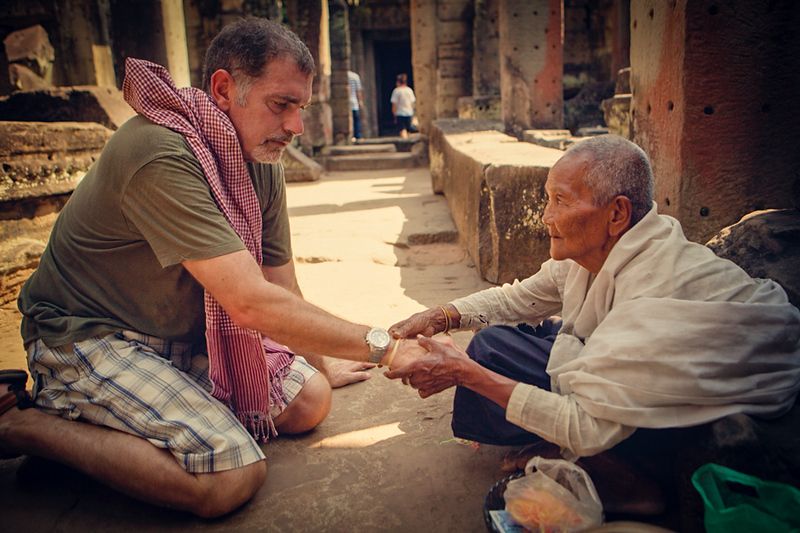 Surrender is Good – Everyone has preconceived notions about the places they travel to. It is normal to form pictures in our mind about places we have yet to see. That is what creates interest and gets us going. But, before you get somewhere it may be best to surrender your expectations and “go with the flow”. Your experience absolutely will be different from what you anticipated. Everyplace has its downsides. Everyplace has its own charm and beauty. We travel to see and experience a place, not to confirm that it conforms to our expectations. So, for me anyway, it is best to just surrender to the situation and enjoy the adventure, wherever you are. I love this post, Jonathan. You’ve eloquently managed to put into words many of the things I consider to be my truth as well. And I’d never really cogitated upon the need to sacrifice comfort in order to get a more genuine experience but I think you’re right there as well. People ask me how I manage to meet so many locals and have so many “crazy” experiences when I travel because they’ve never had that opportunity, but in the meantime, they’re staying in four-star hotels. I like to do that too, sometimes. But not all the time; not even most of the time. It’s way too sterile. Very true. I agree with all of these. I definitely sacrifice comfort when I travel. I always find that the cheaper places are the most interesting and sociable, and it’s also best to save your money for the experiences!